Auto-idle applies the brakes and automatically reduces engine speed to help conserve fuel after an operator-determined period of inactivity. Auto shutdown turns off the engine after extended idleness. Adjustable automotive-style louvers provide effective airflow to keep the glass clear and the pressurized cab comfortable. Optional rearview camera and radar object-detection system or rearview camera only displays the activity behind the machine on the LCD screen. Emits an audible alert for extra awareness in tight quarters and high-traffic areas. All new K Series-II Loaders come with a standard five-speed transmission, a new adaptive clutch cutoff, and new axles with brake retractors that will improve productivity while providing up to 10-percent fuel savings compared to previous K-Series models. Vertical spin-on filters allow quick, no-spill changes. 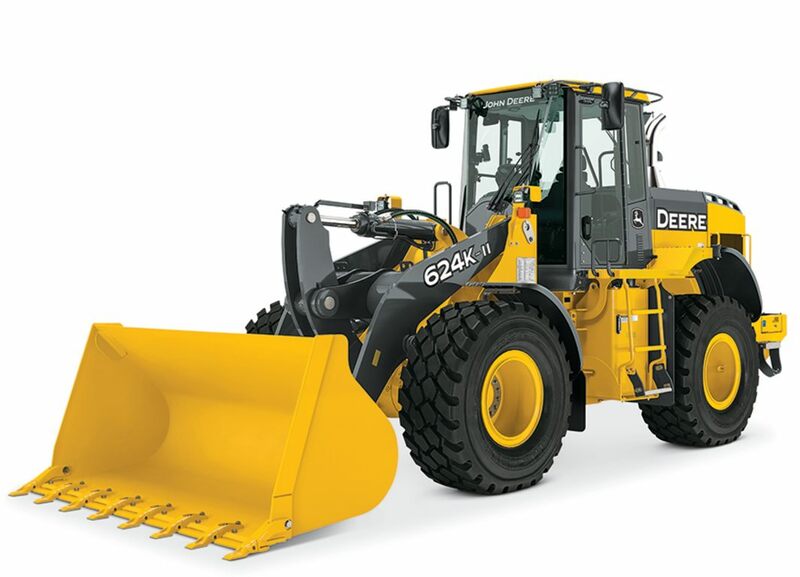 500-, 2,000-, and 4,000-hour engine, transmission, and hydraulic oil-change intervals help reduce operating costs. Conveniently located, easy-to-read sight gauges and see-through reservoirs let you check transmission, hydraulic, coolant, and windshield waster fluid levels at a glance. Lockable master electrical-disconnect switch, cab circuit breaker, and remote-start terminals are enclosed beneath the right-side step, for ground-level convenience.